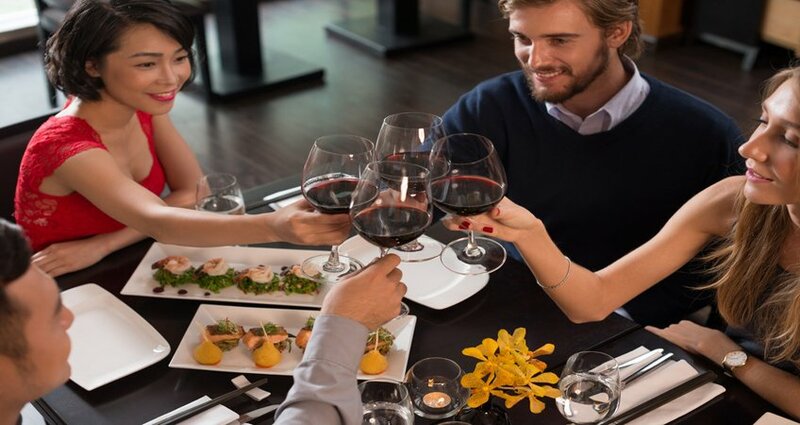 New Jersey Leisure Guide restaurant reviews are judged on the basis of food quality, ambiance, level of service, operations, their chef's culinary standards --- all criteria that are essential to having an impact on a dining experience. 1/2 Star - Poor. Not recommended This is considered to be unsatisfactory and should be avoided. 1 Star - Average or mediocre. Has not achieved a level above other similar restaurants in its class. 2 Stars - Above Average. A good restaurant, above most restaurants in its class. 3 Stars - An excellent restaurant, usually a destination worth the extra distance to travel to. 4 Stars - Best in Class. An exceptional rating given to the top restaurant in its class and geographic area. Quality of ingredients - The source of ingredients used in menu preparation. High value is placed on the use of fresh farm to table seasonal ingredients or from sustainable agriculture systems and methods. Value is also given to the use of rare or uncommon ingredients not readily available in supermarkets. Food Preparation - Does the food preparation respect the quality of the ingredients. When quality ingredients are used, do they shine through the preparation or are inferior ingredients enhanced with the use of heavy sauces? The level of originality - Does the menu reflect originality and the chefs unique style? Service - Based on the hostess, sommelier, wait staff and" bus staffs". Are they well trained, polished, welcoming, anticipatory, and knowledgeable? if wine is served, do they have a non-pretentious sommelier that is knowledgeable and helpful. Decor - Based on a restaurants attractiveness, cleanliness and managements investment in updating and maintaining a clean and fresh look. Amenities - Table settings, rest rooms, bar service, parking, and other amenities that set hem apart form other restaurants. New Jersey Leisure Guide restaurant reviews are not solely restaurant critic, or diner patron comment based. The methodology used is research, analysis driven --- as opposed to that of a restaurant critic or a viewer popularity posting board. 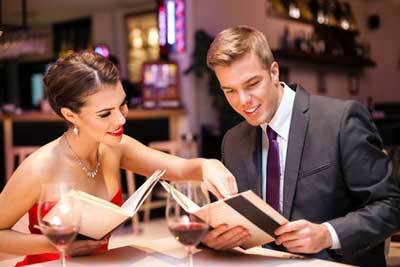 New Jersey Leisure Guide strives to achieve objective restaurant analysis (reviews). Data is gathered from our viewers e-mail restaurant comments, internet research, and input from professional restaurant critics. The criteria used is in line with professional restaurant industry criteria. Note: see "The Criteria Used to Weight or Rate a Restaurant" above. Input is reviewed and assessed --- after removing biased, emotional, and out of consensus comments, where obvious --- the data is sorted and analyzed and a review is created. The high bar for our standard of measurement is the 4 star restaurant which is the gold standard for achieving excellence. 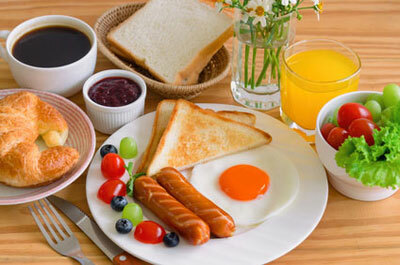 While we also research the popular Internet diner comment websites who use diner comments to establish their restaurant reviews, we recognize that these sites are not a reliable source of data as these diner posting boards are known to be based on diner comments that reflect personal budgets, tastes and anecdotal experiences. Diners tend to have a narrow range of subjective tastes and budgets and will typically eat at restaurants that fall into their range or preferences. For example, diners who frequent one or two star restaurants, rarely if ever, have eaten at a four star restaurant. Consequently, when they visit one of the very popular restaurant review sites to post their comments, they tend to enter their rating against other one or two star restaurants that fall into their personal tastes and budget. If they have experienced an enjoyable dining experience, they tend to give it a 3 or 4 star rating. On the other hand, many these one and two star diners that have been to a three or four star restaurant, in posting their comments have been known to take off stars or downgraded their reviews because either the price was too high and out of their budget range, or because of smaller portion sizes. A three or four star restaurant is not going to be cheap! Our challenge is to get inside the mind of the dining patron to determine their personal preferences ---- taste, budget, and restaurant knowledge and to conclude that we are hearing from a either a one star, two star, or a four star diner, We also look to spot instances of bad reviews from disgruntled ex-employees and overly favorable reviews from restaurant owners and their families or PR people. It is acknowledged that restaurants have off-nights and that restaurant critics and diners can have experiences that may not be representative of the restaurants performance. We are careful to try and spot these comments from dining patrons and professional critics and give them little or no value in our analysis. Also, the current status of a restaurant is considered. Recognizing out-dated dining patron comments and restaurants that publish awards and reviews based on previous ownership & management and previous executive chefs that render these comments as obsolete. apt to disagree with our analysis and reviews? It must be acknowledged that dining patrons, based on personal preferences, tend to have specific views what constitutes a quality, average, or poor restaurant. If their mind set and experience doesn't fall in line with our review/analysis, then they are likely to disagree. This is to be expected. It is not uncommon for restaurant owners to disagree with our restaurant reviews. This is certainly understandable. However, this is a service for our viewers who seek a brief summary based on an independent analysis of a restaurants performance. Many of these restaurant owners also say that they don't take much stock in restaurant reviews. For the most part I agree. They shouldn't rely on a review from just one restaurant critic, or a review from a popular diner comment driven restaurant review site. Despite this, they are quick to put up the plaques at the entrance of their restaurant that provide favorable commentary from either a single restaurant critic or popular restaurant review site, even though the review maybe dated, (from past chefs and management) or is not arrived through a careful analysis of what the savvy dining public has to say. While we do extensive research and analysis to ensure the most representative review of a restaurant, and because we rely on the subjective tastes and opinions of restaurant patrons, our staff, and other sources, similar to movie and book critics, our reviews should be taken as informed opinion and not fact.